1. 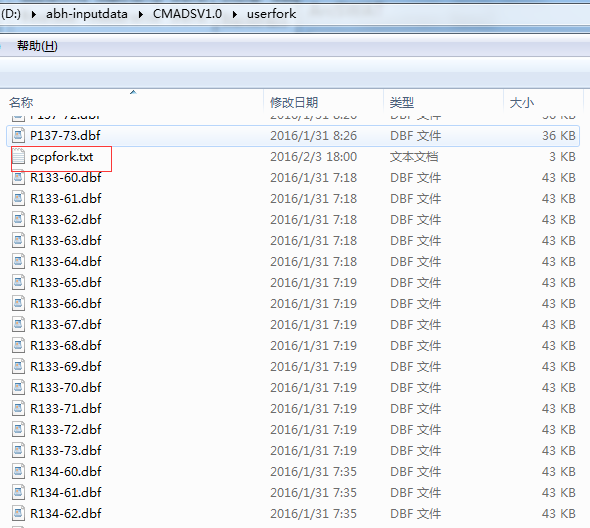 Download CMADS.7z and Find out the CMADSV1.0station.zip in CMADS folder, open CMADSV1.0.mxd using Arcmap. (The initial geographic coordinates of the map are:GCS_WGS_1984 Datum: D_WGS_1984). 3.Click the zoom button to enlarge the target area (Because the site is too much, you'd better click the zoom button, so that the machine can read the station more smoother, Of course, Before zoom operation, don't forget to remove the check mark of theCMADS1.0 check box )(See Figure. 2). 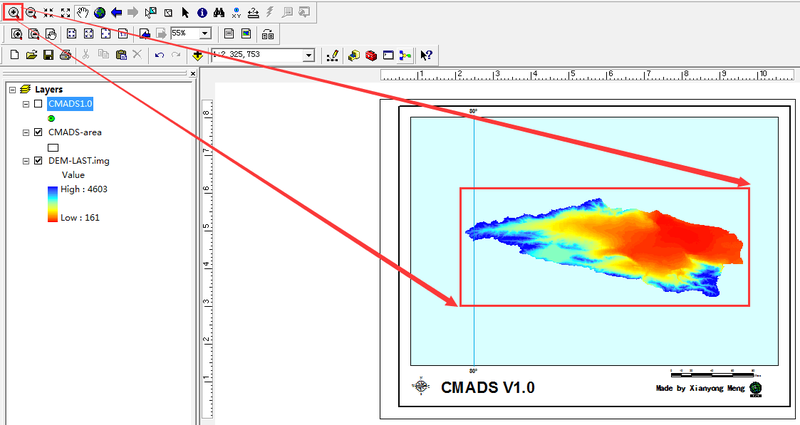 4.After you zoom in the research area, select the check box(CMADS 1.0) again and .Select attributes of CMADS1.0 layer and lable the CMADSstation name (See Figure. 3). 5.We can now select the CMADS station which included in the study area (you can find the station in Catalog \For-swat-2009\ and \For-swat 2012\). In this case, we considered the selected Station contain from 137-60 to 137-73, from 136-60 to 136-73, from 135-60 to 135-73, from 134-60 to 134-73 and from 133-60 to 133-73. 6.We now select these stations from the Fork index table and create the user's own index table. We will find the index table for all weather elements in the \FORK\ directory (Don't forget to paste the header in this step 'ID, NAME, LAT, LONG, ELEVATION') (See Figure. 4). 7.Place all of the above meteorological stations and index tables (*fork.txt) in the same folder (See See Figure 5). 9.Then, we add the 135-67 site location information to userwgn (See figure.6)(In addition to the site location information, other data can be filled arbitrary). 10.Finally, load the station table and index table.